Happy Monday! I'm back with another look for you. I wanted something with a little drama. 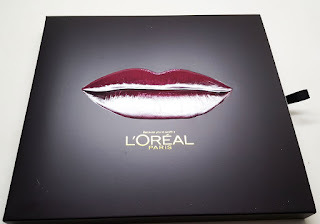 I decided to test out one of my new L'Oreal Infallible Lip Paints and found the perfect shade for a vampy lip. Check it out! I loved how this look came out. Burgundy on the eyes and lips. 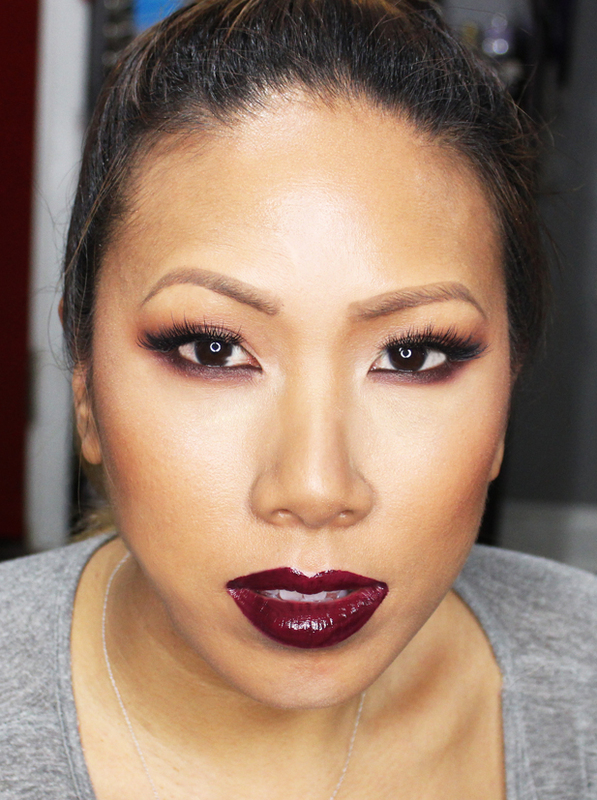 I applied a reddish brown to my crease and a chocolate burgundy to smoke out my lower lashline. 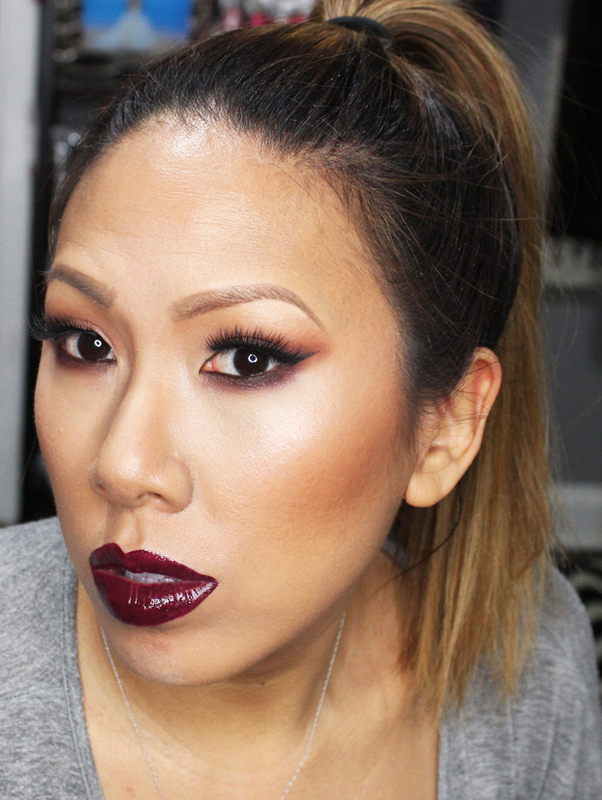 I love how the color coordinates with my vampy lip. On my lips L'Oreal Infallible Paint in 304. 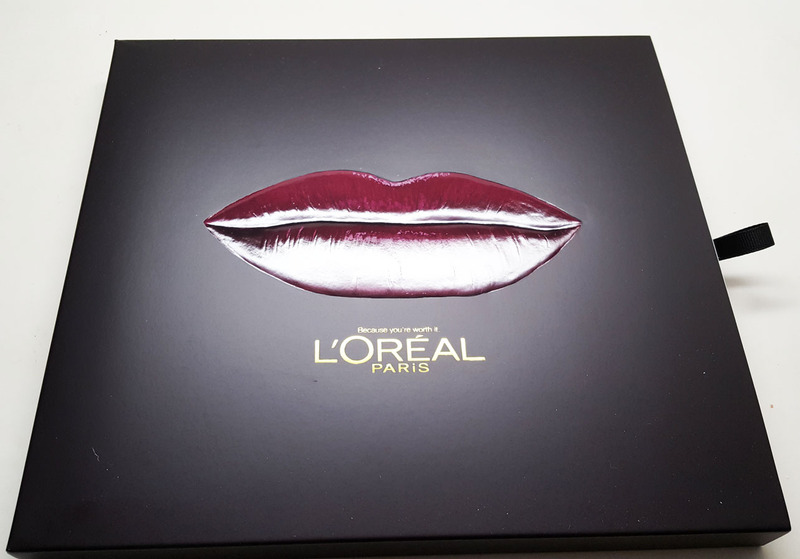 It's a deep, glossy wine shade. I first applied a matching lip pencil first to make sure I had a defined lip line, then filled it in with the gloss. Whenever I do a vampy look, I like to add extra blush and bronzer to make sure that I'm not washed out. Once again I'm wearing my gray pajama shirt in this picture, I really need to do better lol. Till next time, Ciao Bellas!